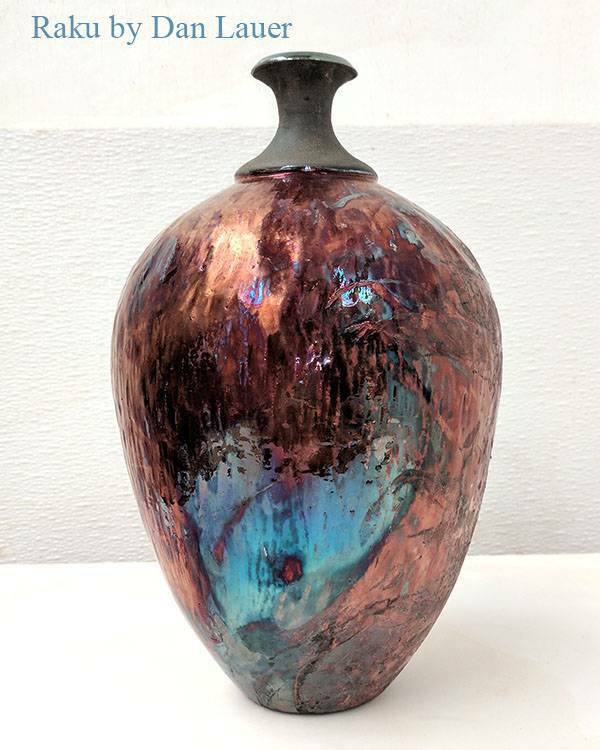 The primary objective of this class is to get a sense of what a raku kiln is, how it works and how to control the results of our pots. You will get as much out of this class as you want. 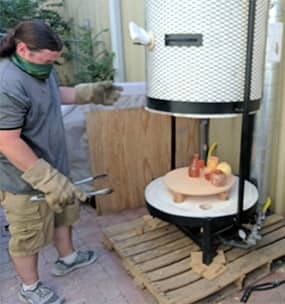 If your goal at the end of the class is to buy or build a Raku kiln and be firing on your own that is possible. If your goal is just to have fun I will make sure you do. We will discuss and do different alternative firings including- Raku, Horse Hair, Sagger and Smoke Firing. We will Come up with a schedule as a class on the first day and stick to that Schedule. Glaze- We will supply a number of different Raku glazes in brush form. You are also welcome to purchase your own glazes. Tools- We will supply all the tools needed for this class but you are also welcome to bring your own. 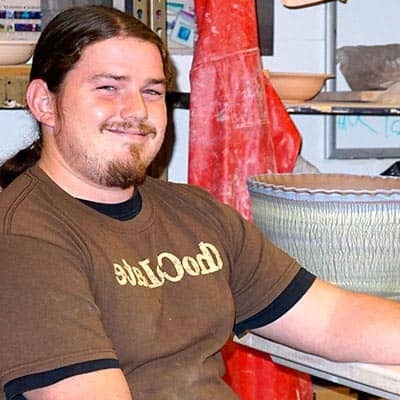 We will all be taking turns pulling hot pots from the kiln so this dress code will not be mandatory every class period, only on the day that you are going to be helping pull pots. It will be very hot and we will be outside. Bring stuff to keep you cool and sunscreen is a good idea. Remaining 5 classes-We will set a schedule on the first class period, stating what kind of firing we will be doing each class. You will be expected to come prepared each class. Because of a time restraint the kiln will be closed and be firing by 9:45 AM No Exceptions!!!! so don’t be late. Students will take turns each class period helping me fire and pull pots. During the firing time the other students will have studio time to make stuff and get prepared for the next class. Firings take about an hour and a Half. Leaving time for everyone to get in the studio and work.